Champion David Haye, the World Heavyweight and former World Boxing Association (WBA) Super World Cruiserweight has decided to retire and permanently hang his boxing gloves. Recently, in a rematch David was in the ring against Tony Bellew, where he was stopped in the fifth round. Immediately, rumors started that he will retire, which have now come true and it has been officially announced that he will retire. Hayes signature was his right hand punch. His knockout punch scored 26 of his 28 knockout victories. November 2011 won the first Title of Super World Cruiserweight against Jean Marc Mormeck. Defended his WBA cruiserweight title against Enzo Maccarinelli, which Hayes won in the 2nd round with another knockout. After this he moved to the heavyweight division. Haye challenged the Russian giant, 7′ tall – Nikolay Valuev for the WBA heavyweight title. November 2009, the fight branded as “David vs Goliath” was won by Haye earning the majority decision of the judges. 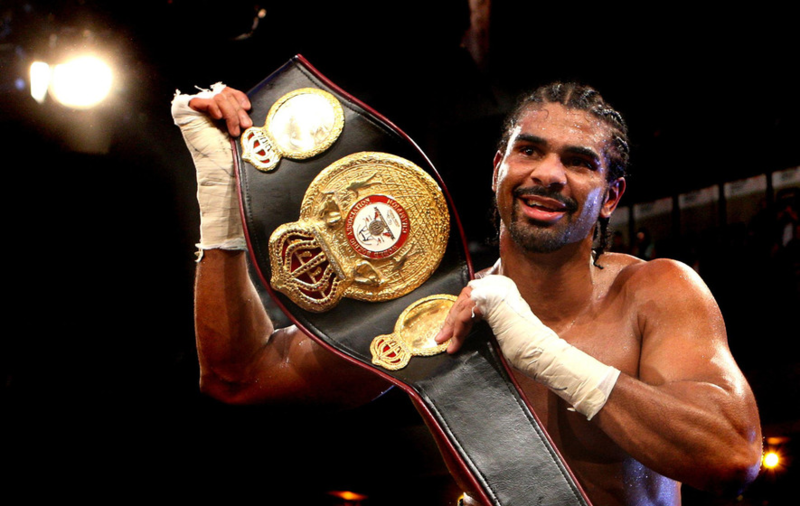 Haye twice defended the WBA heavyweight title, with stoppage victories against John Ruiz and Audley Harrison. July 2011, Hayes lost the WBA title to Wladimir Klitschko via unanimous decision. July 2012, Hayes won the last major fight, the WBA Intercontinental title against Dereck Chisora via TKO. After the victory, he retired for 3.5 years. Came back for a few smaller bouts before twice facing Tony Bellew.